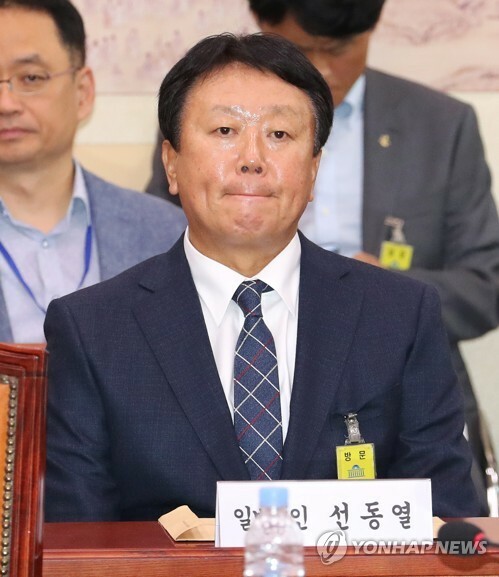 SEOUL, Oct. 10 (Yonhap) — South Korean national baseball manager Sun Dong-yol on Wednesday reiterated his position that there was no wrongdoing in his Asian Games roster selection. South Korea won its third-straight gold medal at the Asian Games in Jakarta, but the team’s uninspiring performance fueled public anger. 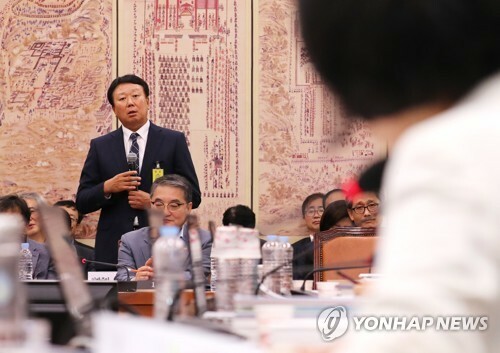 At the audit, Rep. Kim Su-min of the minor opposition Bareun Mirae Party asked Sun if he considered the players’ military service status when assembling the team. Sun simply replied “no” to the lawmaker’s question, adding that he didn’t give undue favors to particular players. Rep. Kim then showed the 2017 Korea Baseball Organization (KBO) League stats of two players, without unveiling their names, and asked Sun to pick a player for his Asiad team. Sun picked “player B,” which turned out to be Kia Tigers infielder Kim Sun-bin. The other player was later confirmed Oh Ji-hwan, shortstop for the KBO club LG Twins who has been a lightning rod for criticism. Oh was leading the league in errors and strikeouts at the start of the Asian Games. He hadn’t completed his military service before the Asian Games and received his exemption despite going just 1-for-2 with a walk in three games off the bench in Jakarta. While busy answering the lawmakers’ questions on his roster selection, Sun did apologize to the public and baseball fans for being at the center of controversy.